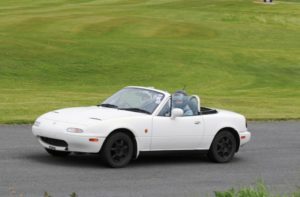 How should I prepare for a Track Day? Although modern cars are built to withstand stresses above those that they will experience on the road, standard production cars are not built with track work in mind. However, there are a few simple things you can do to help ensure the car will cope with the extra stresses and go home in the same condition it arrived. Tyres. The actual part of the car making contact with the track needs to be in very good condition and set at the right pressures. There is no hard and fast rule here, as it will be determined by the make of car and the make of tyre, also the track conditions and your own personal preference. Many people choose to increase the pressure by around 10% and find that tyre wear is less of a problem. Some vehicles find increased grip from lowering the pressure, maybe only on one axle. The trick is to check the pressures are even side to side and check them when they are at track temperatures. One thing is for sure though, you should make any adjustments at the track and return the tyres to normal road pressures before you leave. Your engine will spend more time at high revs than ever before, check that all the filters and belts are in good order and pay particular attention to the oil level. Bring some oil with you, as it is normal for an engine to “burn” some during a trackday. Keep an eye on the level during the day keeping it close to or at the max. Be careful not to overfill though. Upgrading the oil to one that can handle higher temperatures is a good idea and some of our most enthusiastic and dedicated participants will explain how they change the oil before and after each event! Suspension and steering parts will help define how well your car handles, and hence how comfortable you will feel out on the track. Make sure these parts are in good working order and don’t be tempted to take to the track (or road for that matter) with faulty or worn parts. Bodywork should be in good order, as we don’t want wheel covers (either tie these on or remove them for the event), bumpers and wings leaving your car while you are driving! Loose items. Make sure that you remove everything from the car that is not firmly fixed down. Pens and soft drinks cans can become lethal projectiles. Make sure you remove everything from the boot of the car too, in some cases this means the spare wheel also, there is usually somewhere to keep things at an event while you are on the track (but remember that neither the circuit nor event promoters can take responsibility for belongings so leave that laptop PC and other valuables at home!). Bring some electrical or gaffer tape along; it’s a good idea to tape up the lights before going on circuit. A simple tool kit is handy to have, including a tyre pressure gauge. Fire extinguishers are not compulsory, and indeed if there is an incident the Fire Marshals will take care of any fire. However, it’s recommended that you purchase an in-car fire extinguisher to keep in the cabin of the car. Make sure it is secure in it’s mounting though and that it will stay firmly fixed in the event of an accident. Fuel. This sounds obvious, but it’s very important. You will not be averaging 35mpg while on the track, indeed less than 10mpg can be more realistic once you are a little more experienced. Be sure to have at least half a tank of fuel in you car before each session as if you run out of fuel on the track your car will be pushed by the marshals to a safe place and may be left there until the end of the session. Under NO circumstances will you be allowed back on the track in that session, it’s a silly mistake and risks stopping track activity for others. Most likely, yes. Almost all vehicles are welcome on trackdays just so long as they meet safety and noise emission requirements. 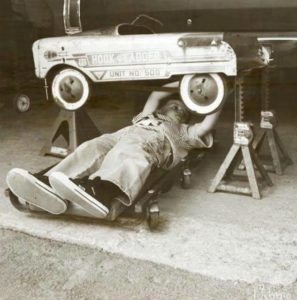 As a general rule, you car needs be to MOT standard. Seatbelts, brakes, tyres, indicators and lights all need to have to work. Some circuits do have special rules, and one of the most common is that special track prepared cars that do not have wings/mudguards over their wheels will not be allowed except in designated sessions. We run separate sessions at Aintree for Single Seat and Sports Racing Cars, and many drivers of Caterham type cars prefer to go into these sessions, away from the heavier road cars. The most important thing is the right attitude. You need to be aware that motoring events of this nature can be dangerous. Each event will have a set of simple rules designed to keep you and others safe. If you come prepared to follow those rules, you will be fine, break them and you’ll be going We home early. What safety clothing is required? Helmets are compulsory for all people intending to drive or passenger. Specialised race overalls are recommended too, but we understand these are not possible for all. It is compulsory to have both your arms and legs fully covered by your clothing. You will be refused access to the track unless these rules are met. How are cars tested for noise and will my car pass the noise tests? The vast majority of tracks in the UK have noise limits imposed on them by their local councils. These limits vary from track to track and some tracks have several different limits. Ask the organisers for the limit at your intended venue if you think your car is noisy. Circuits that test cars before going out will use a noise meter placed at a 45 degree angle to the exhaust outlet and 50cm away. The car is then held at 3/4 of its maximum rev limit and the highest reading recorded is the cars recorded noise output for the day. If a car is over the official limit, the car will not be allowed onto the circuit. If you do not know what the noise output of your car is, as a general guide most standard road cars will record lower than 98db, indeed many sports exhaust systems will also, but may reach 102-3db. However, if in doubt get the car tested prior to booking an event. Is the event OPEN PITLANE or SESSIONS? What is the difference? SESSIONS means the day will be structured into separate groups of cars which take it in turns to go out on track for 10/20 minutes at a time. Depending on the track and weather conditions sometimes there may be 2 groups or 4 groups. Each driver will be restricted to their group for the duration of the day (unless it becomes clear that the driver is in the wrong group, or when under instruction where the car will be allowed on track in additional sessions). OPEN PITLANE means the cars and drivers are free to go out onto the track when they choose. This is less common, as only certain circuits have the facilities for this. On these days the first hour will be in SESSION format to help stagger the attendees. All LMC Track Days run sessions each of 10 minutes duration, as this has proved to be ideal for cars on Aintree Circuit. I’ve never driven on a track before and I would like some pointers, will there be instructors? Experienced track users or ARDS registered instructors are available at all LMC events at no extra charge. Other events may have experienced drivers giving guidance, but not all offer this facility. 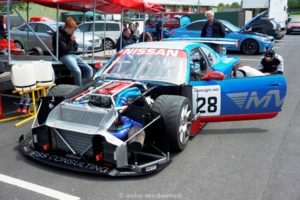 In any case, they won’t be teaching you to be a racing driver, but they will be sharing the benefits of their racing and trackday experience. It is highly recommended that you take this option, if you are at all unfamiliar with track driving or new to a particular track. We strongly recommend that every driver reads – A Lap of Aintree – Really Helpful Advice – written by regular Aintree ARDS instructor, Andrew Whitehouse. You will learn something, no matter how competent you think you are! It opens in a new window as a pdf document that you can save on your own computer to read and re-read as often as you wish. I am concerned I will be “˜too slow’, and more experienced drivers will be inconsiderate. Any driver not being “considerate” to others will be removed from the track by the attending marshals immediately. They are the ones in the wrong. Speed is not necessarily an issue. Of course an overly slow driver can cause a nuisance, which is why we select sessions partly on the grounds of people’s prior experience, type of vehicle and where they will feel most comfortable. If sessions are clearly not working out: we change them. We strive to provide a comfortable situation for newcomers and old-hats alike. Although a trackday is generally a very safe time and place to try the limits of driving, in reality accidents can and sadly do happen. It would be dishonest for us to say otherwise. Responsible organisers do absolutely everything possible to ensure the safety of drivers, passengers and spectators alike. Part of this is staffing events above and beyond ATDO rules and only using fully qualified and experienced people. Should the unfortunate happen, rest assured that the attending marshals and paramedics will be fully able to cope and that full and proper procedures would be followed. Although trackday accidents are rare, if you decide to take your car on to a track, you must be aware that are accepting the risk. You will also be required to sign a further declaration at each event. This is usual on any trackday. The circuit, the organisers or any other person or company cannot be held responsible, even if an accident is not your fault. It is becoming increasingly unlikely that your road going policy is going to cover you for a trackday so make sure you check with your insurance company first. Make sure you mention that these events are non-competitive and no racing or timing is allowed. Many companies will cover you, for a small additional premium. If they do not cover you we recommend you take out a separate per event policy to be sure. You can find details of companies which sell these types of policy in the motoring and motorsports press – they also sell personal accident insurance, which we also recommend you take out. I am concerned I will be ‘too fast’, and less experienced drivers will be annoying. Organisers make every effort to make all drivers feel relaxed and make sure they are alert and enjoy the day. We run NON-competitive track days. Anyone caught getting aggressive / competitive / dangerous behind the wheel will be removed from the circuit. LMC grades its sessions into 4 groups for novice, intermediate, expert, & single-seaters, so we shall always try to put you with other drivers of similar ability and performance. Can I run on slick tyres? Yes, but they must be in good condition and you may not use them if the track isn’t 100% dry. Many organisers allow slicks only on cars with full ROPS (Roll Over Protection Systems) ie a roll-cage. We’ve no objection to teams/individuals using trackdays for a bit of practice or shakedown, as long as they understand they have to operate under the same rules as everyone else. Anything competitive though is strictly forbidden, including the use of timing equipment. Doing so can see you banned from the circuit, and we don’t just mean on trackdays. Association of Track Day Organisers. Set-up in 2000 to give the track day participant a benchmark when choosing an organiser. Organisers who are members of ATDO must run their events to a set of guidelines that cover various aspects of the event, and in particular lay down minimum safety standards. Although we are not members of ATDO, Liverpool Motor Club’s track days exceed the safety and organisational guidelines required by ATDO. More great tips and info about other track day events can be fount at Motorsport Days great website.